The country is grappling with a serious debt problem. Can it be overcome? Kenneth Rogoff, a Harvard economist, believes China’s debt will be its unmaking in the long run. China is still attempting to cope with its debt issue, which rose to the fore as the real estate bubble collapsed, revealing large amounts of debt held in particular by local governments. Still, it does appear that the recent stock market debacle, in which the government attempted to bail out the stock market and then retreated, in conjunction with the exchange rate fluctuations, have pushed the panic button regarding China’s growth prospects, leading many both inside and outside China to believe the economy is in a tailspin. While debt is a real issue that China must continue to grapple with, we believe markets have overreacted and that prospects for growth, if not rosy, are not necessarily terminal either. First – the debt issue. Rising debt has remained an issue for local governments and banks alike, particularly as the economy continues to cool. 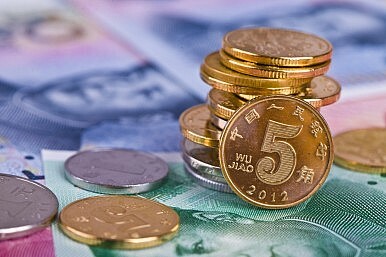 Recently, the Chinese government set a ceiling for local government debt at 16 trillion RMB. And while nonperforming loans at present have not become a very large issue for banks, they have become more cumbersome to control. Local government debt was restricted as of the end of last year. As current debt levels weigh in at 15.4 trillion RMB, the local governments’ debt cap means that local governments can spend an additional 600 billion RMB this year. This number does not include indirect liabilities such as guaranteed or contingent liabilities. The government also expanded its debt-for-bond swap program from 2 trillion RMB to 3.2 trillion RMB, in order to reduce the burden on local governments. For banks that hold these bonds, the debt counts as guaranteed collateral with the central bank. Last year, local funds were spent on infrastructure, transportation, health and education. Profits for the big four banks have reportedly declined, as an increase in loan-loss provisions has required these large banks to channel funds toward loss prevention. Corporate debt is at high levels, weighing in at 160 percent of GDP as of July. The major problem with local government debt is the model of revenue distribution between the central and local governments. Local governments have been squeezed for funds with which to build infrastructure and provide social services. This is more than a debt problem, it is a governance problem. High corporate leverage is also a problem rooted in the structure of the financial system. China’s banks lend based on past loan history rather than based solely on an analysis of risk and return. Much of the debt buildup is due to lending to less profitable state-owned enterprises which have received funds from the government’s fiscal stimulus programs. When we take into account the fact that China’s government has warned that economic activity would slow due to restructuring, we can conclude that China is not imploding, but that it does have some serious issues to address. The debt issue is not just a matter of missing out on sources of growth, it reveals systemic issues related to bias for the central government and state firms. While the government is coping with the debt issue, little is being done to change the problems at their root. Moreover, while Rogoff oversimplified the solution to China’s downturn, pointing to foreign exchange reserves, we believe the leadership does have some room for maneuver in terms of funding. Still, the real fix to China’s woes includes restructuring, something the nation is attempting to do. Painful reforms, such as promoting new rather than traditional sectors, may bear fruit later, if they go far enough to truly generate growth. To conclude, there is hope for China – it is not “sentenced to debt” – but changes are essential at this juncture. China’s debt has surged in recent years. Can it handle it? Why China’s Local Debt Policies May Spell Slower GrowthThe Trouble With China's Latest Subway-Building BingeFour Considerations on the Chinese EconomyChina’s On-Again, Off-Again P2P LendingWhat Does ‘L-Shaped’ Growth Imply for China?